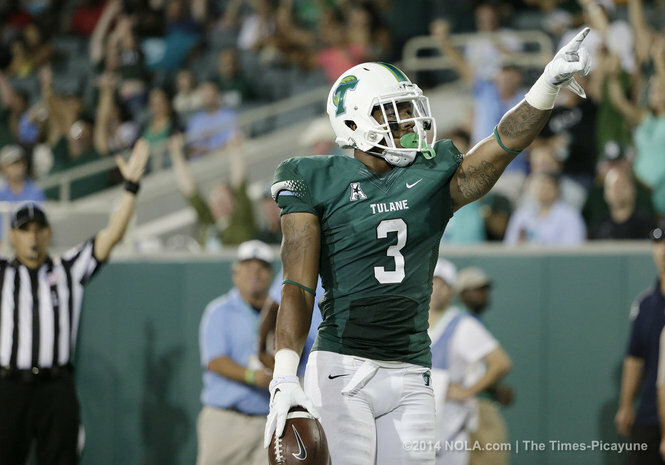 Saying that Tulane has “great expectations” would be a bit of an overstatement, but the fact of the matter is that their expectations have greatly improved. Believe it or not, the fact that their fanbase and administration was legitimately disappointed in last season’s 3-9 campaign is a positive sign. We aren’t that far removed from 3-9 being a reasonable expectation for this program, but that’s no longer the case and that is a positive. Even though the numbers don’t reflect it, this offense showed some signs of potential last year. The biggest issue was that they fell apart down the stretch, failing to top seven points in any of their last three games after a 31-24 win over Houston. However, they were young last year, and still are this year. The difference this year is that they are young and experienced as opposed to young and inexperienced. Nowhere is that last sentiment more evident than at quarterback. Tanner Lee did some good things as a true freshman quarterback, but he also did a lot that can be improved upon. Lee threw for just under 2,000 yards (he wasn’t the full-time starter all season), twelve touchdowns, and completed 55% of his passes. That’s not great, but it’s serviceable and is at least a reasonable starting point. However, he also threw 14 interceptions, and that won’t cut it. He was also poor on third down, completing fewer than half of his passes and throwing four of his 14 picks. Running back ought to be the strength of this offense, with three solid options returning. Sherman Badie, Lazedrick Thompson and Dontrell Hilliard are all back this season after each of them had over 450 yards and at least three touchdowns last season. Badie and Hilliard were also true freshman, so they could be prepared to make a big step forward. At receiver, there isn’t a whole lot to boast about, but there are some experienced players returning. Teddy Veal led the team in receptions last year, and both Hilliard and Badie proved adept at catching the ball out of the backfield. Charles Jones should be at least decent at tight end and expect Terren Encalade to fill the other wide receive spot opposite Veal. Offensive line is the least youthful part of the offense, and that is definitely a positive. With four starters returning, two of which are two-year starters, this group should enter 2015 with some semblance of chemistry already in place. The only spot that needs replacing is at right tackle, where the new starter will replace three-year starter Sean Donnelly. 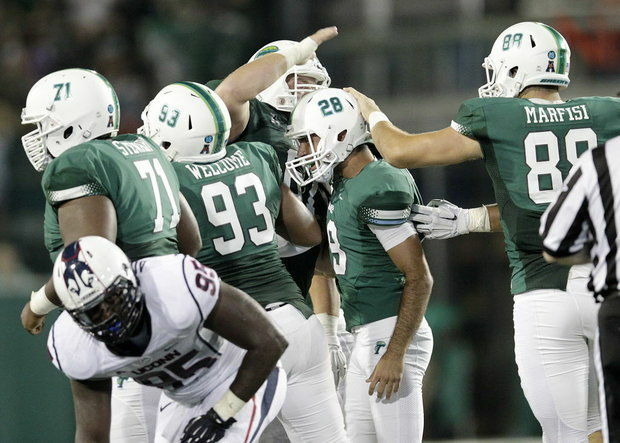 With five out of six starters returning on the defensive front, the Green Wave run defense ought to pick up right where it left off last season. The defense may have finished only 52nd in the nation in rushing yards allowed per game, but they were 7th in the nation in both stuff rate and power success rate. Basically what I’m trying to say is this, if you have third or fourth and short against Tulane, you might want to strongly consider a playaction pass. Royce LaFrance is the biggest standout on the defensive line after having 10.5 tackles for loss and 6 sacks last season, but Tanzel Smart and Sean Wilson form a solid pair on the interior. Nico Marley will be the leader of this defense at linebacker. Marley finished second on the team in tackles last year, and is the leading returning tackler. He also led the team with 13.5 tackles for loss. 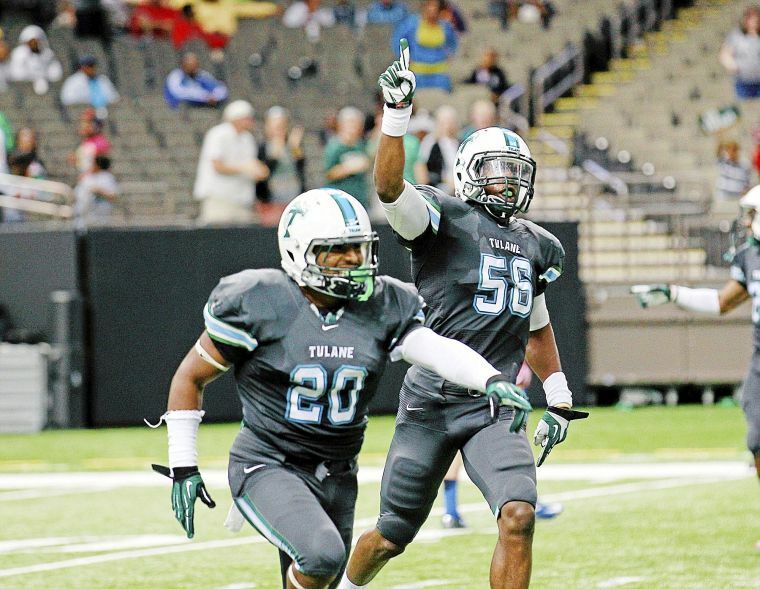 Eric Thomas is the most likely candidate to be Marley’s primary running mate at linebacker in Tulane’s 4-2-5 scheme, but expect plenty of contribution from other guys like Edward Williams, Rae Juan Marbley, William Townsend and Zachery Harris. The front seven may need to protect the defensive backfield, at least early on in the season. Darion Monroe and Parry Nickerson should both be solid at free safety and cornerback last season. They were an opportunistic pair last season combining for eight interceptions and two fumble recoveries. The schedule starts off tough with two straight games against ACC teams to open the season, one of which is a trip to Atlanta to play Georgia Tech. They also have a pretty tough October with home dates against UCF and Houston, and road games against Temple, Navy, and Memphis. That’s probably the toughest October schedule of any AAC team. The good news is that November is a bit more forgiving with four straight games against teams that finished outside the top 100 last season. All in all, the Green Wave are good enough to get back to a bowl game, but a daunting schedule will probably prevent that from happening.